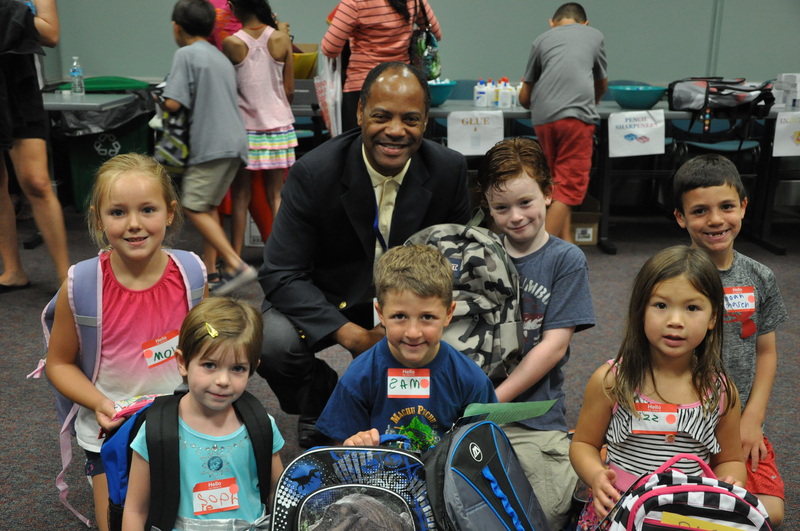 Dr. Stacy Scott, Superintendent of Framingham Public Schools with Build-a-Backpack donors. 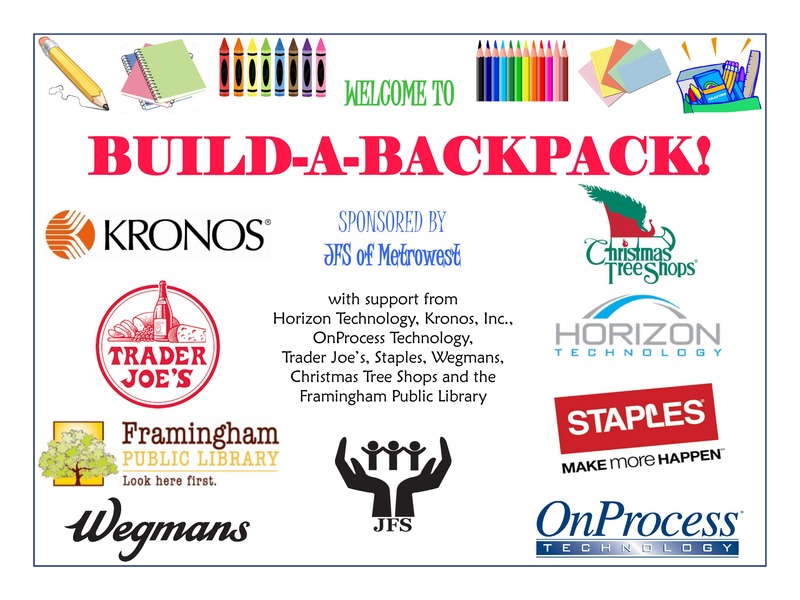 Many thanks to all who attended and supported the 2015 JFS Build-a-Backpack events at the Wellesley Free Library and Framingham Public Library! Over two days, 160 attendees filled backpacks with school supplies, giving 200 disadvantaged students the tools they need to start the year off right – SUCCESS! Visit us on Facebook to see more pictures or click to learn more about Build-a-Backpack. Thank you to all donors that helped make this event successful! JFS is a non-profit, community-based organization dedicated to standing up for those left behind and provides services to over 4,800 people in need within the Metrowest region each year, including afterschool tutoring for at-risk children, nutrition assistance for low-income families, refugee resettlement case management and support services that enable frail older adults to live independently. To learn more about JFS visit our website at www.jfsmw.org or like us on Facebook! This entry was posted in Reducing Achievement Gaps, Volunteer Opportunities, We are JFS! and tagged build a backpack. Bookmark the permalink.